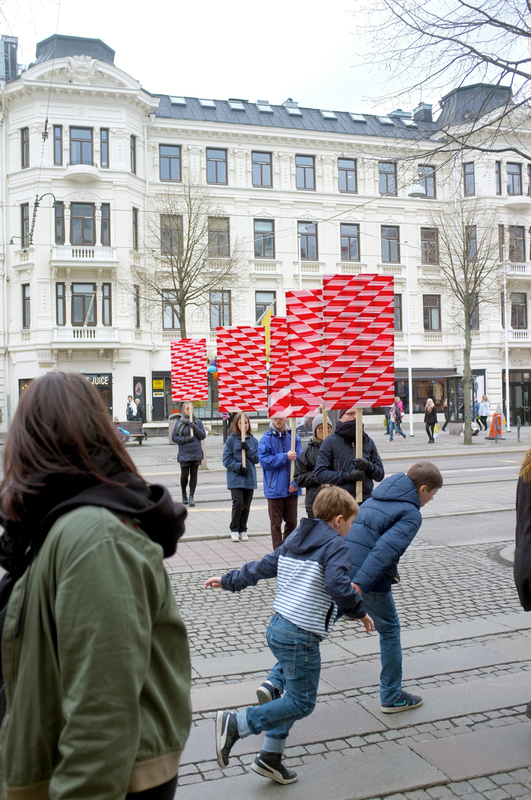 From the provisional to the permanent consists of s a screen, as a sculptural divider and as a performance presented in the exhibition “The Research Show” that took place from 6-20th April 2016. 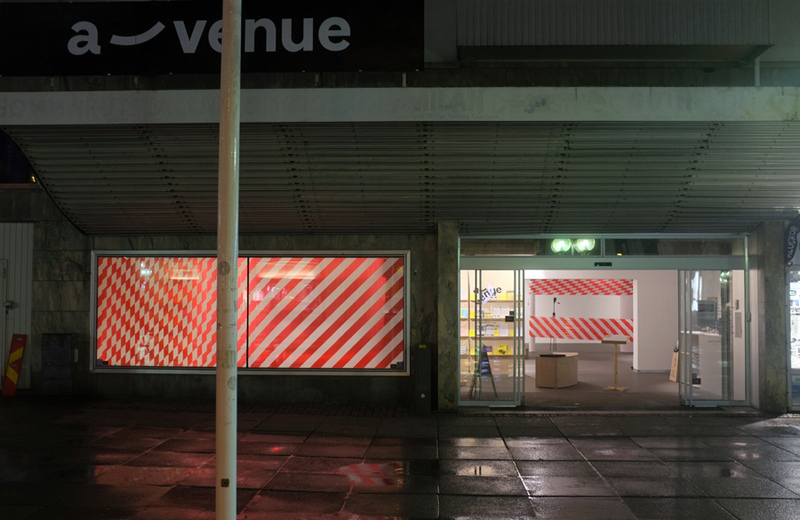 From the provisional to the permanent is a series developed in the past years, producing interventions in architecture, in natural landscapes or in the public space by creating patterns with the use of danger/caution plastic tape. The series explores the loss of meaning (the signalling of danger) that the material dislocation operates as well as the seductive quality of the abstract patterns created from a material that progressively deteriorated if exposed to climatological elements. 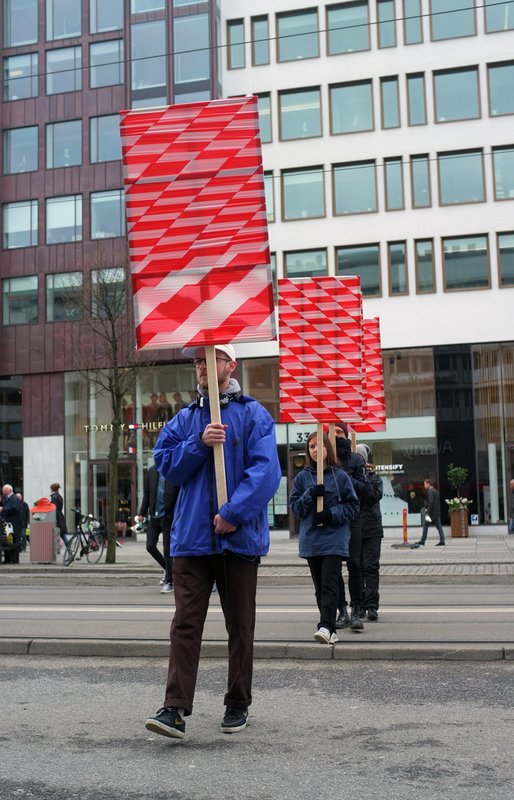 This re-enactment red and white caution tape to create the visual patterns on the banners, the same material used for his large-scale installations at Avenue. 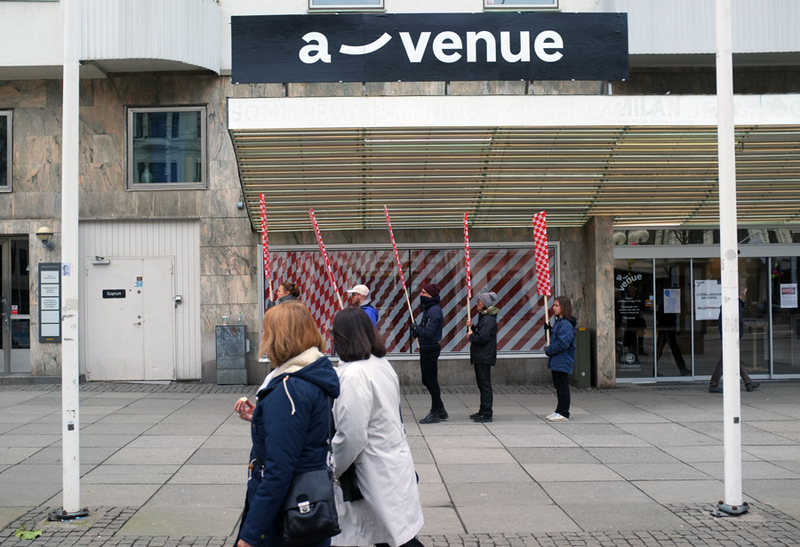 From the provisional to the permanent: ballets in the avenue is an iteration of the series taking the format of a reenactment of the performance "Seven Ballets" in Manhattan, 1975" by Daniel Buren. 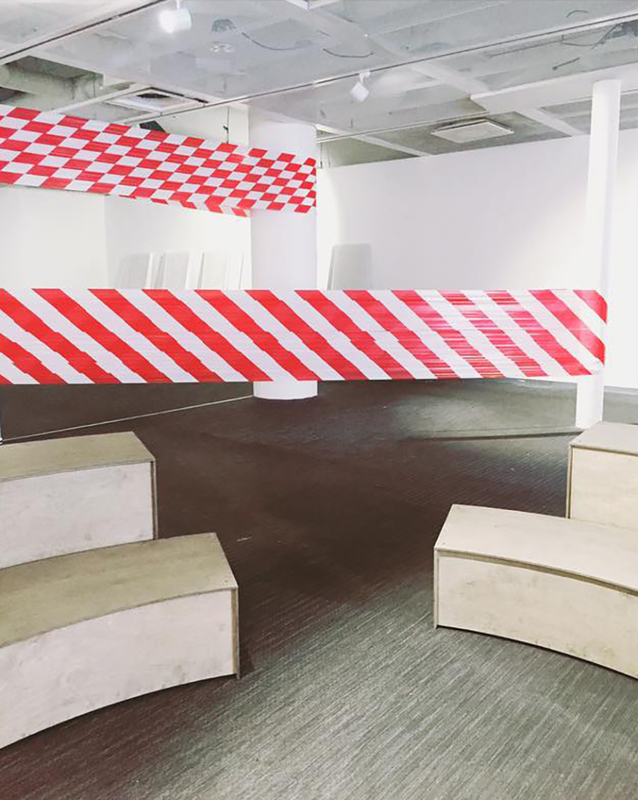 In this reenactment red and white caution tape replaced painted boards in the creation of visual patterns. 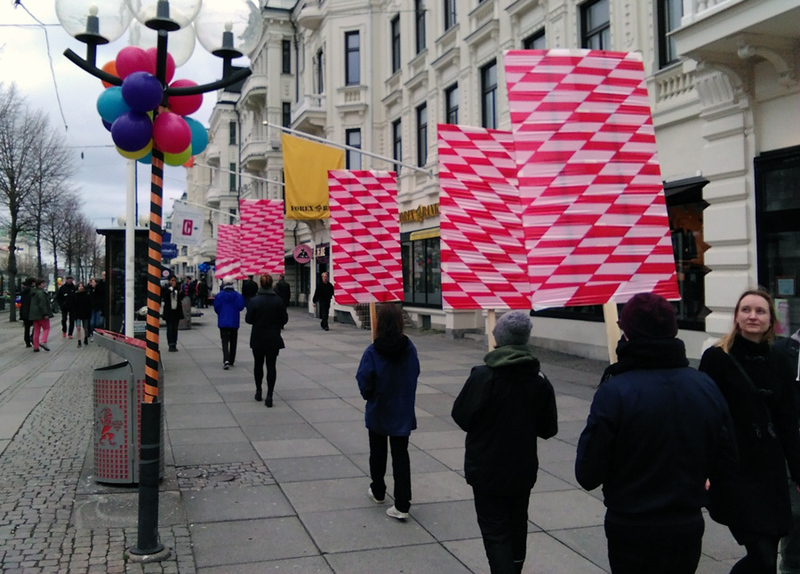 The event took place during the celebration of the commercial district in Göteborg, creating different reactions among the passerby. 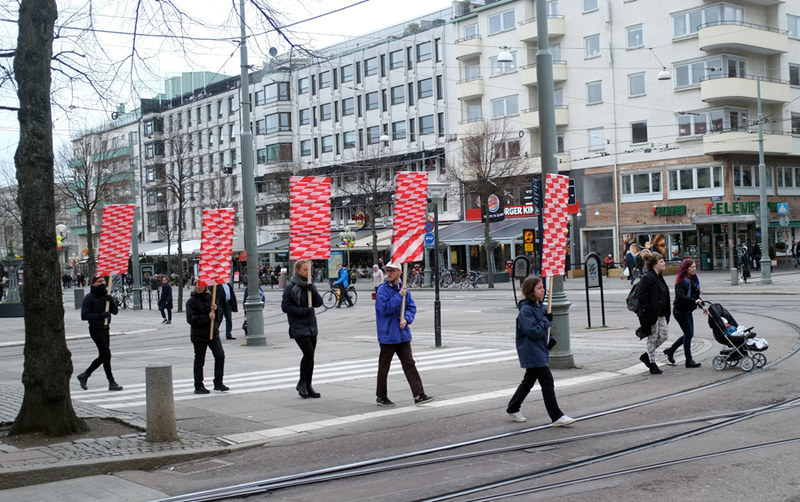 The performers walked rather slowly and did not interact with the public. 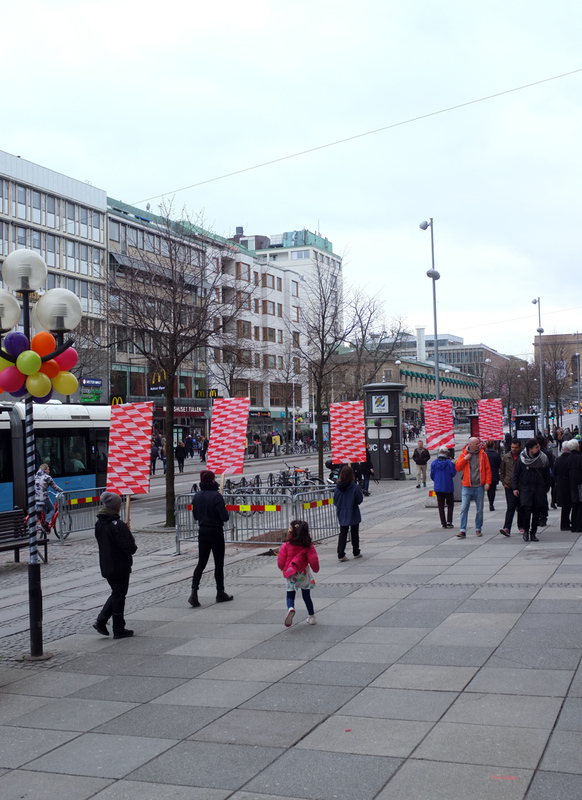 Some people questioned the performers and left the scene ranting about the lack of information. 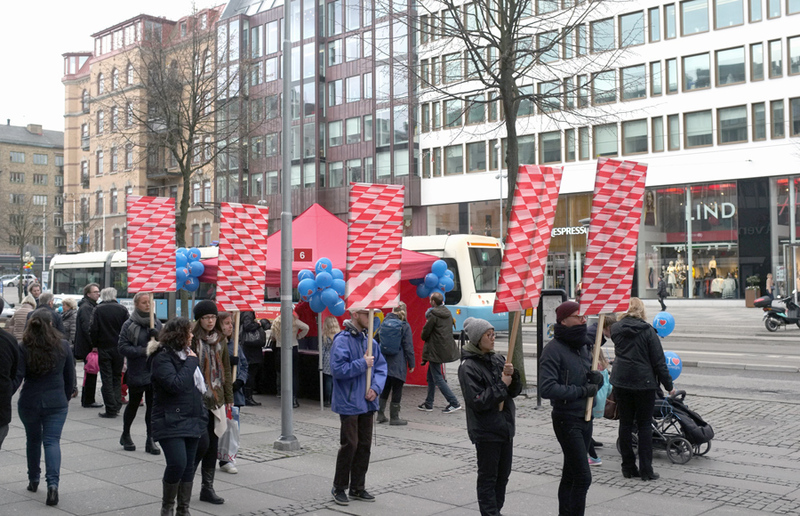 The abstract element being carried as a protest march brought perplexity and strangeness to a context of marketing and advertisement, but also, to the context of public agreement and consensus that is at the very core of the Swedish society. 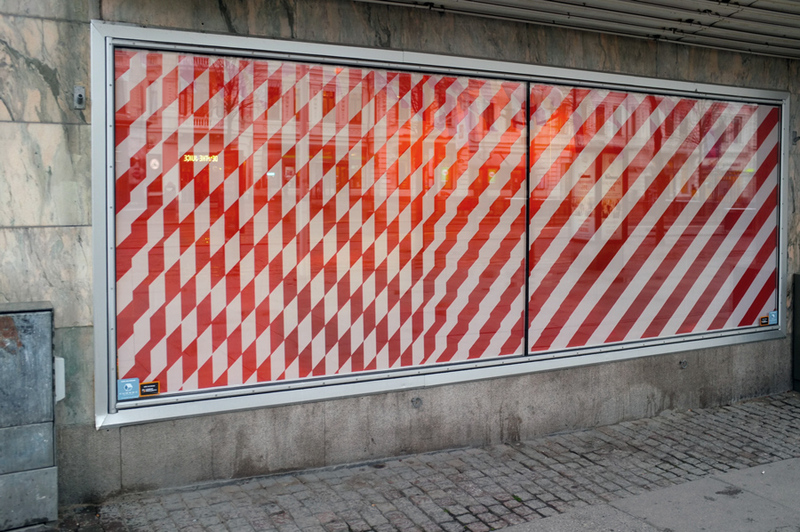 And that offered an unpredictable realization: of how much private or secretive can one be in the public space.